Here’s an excerpt from a sweet interview with Rod Fergusson. Who is Rod? 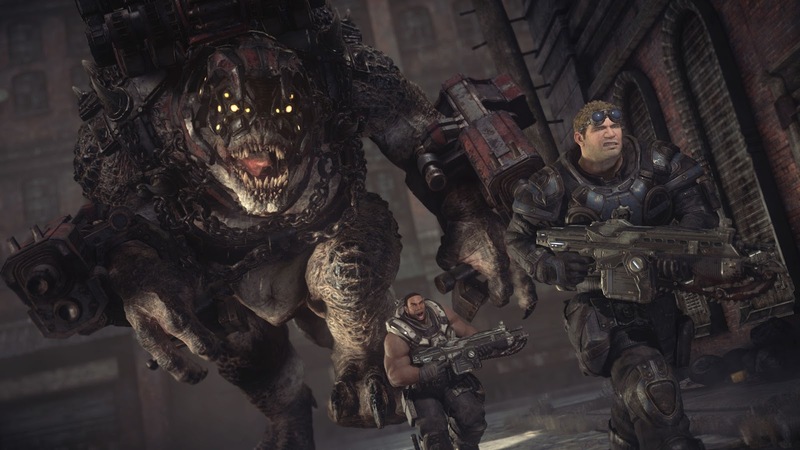 Rod is the man in charge of the Gears of War franchise – his team, The Coalition, recently announced a remake of the original Gears and the fourth entry in the franchise. He chats with Game Informer about what when into the remake. You re-did all the motion capture and remade many other aspects of the game. Did you re-record the dialogue? No, that was one of the things we decided to leave the same. We wanted to to really stay true to Gears 1. There's a fine line when you're dealing with a remaster to stay true to the nostalgia versus the modernization, and this was another choice towards nostalgia for the campaign, which was to really stay true to the dialogue. Those lines you remember, the way that Marcus said, "Nice!" or the way Dom said something – we wanted to keep that. Also, all the actors have aged 10 years and everything else. If we had gone back, we would have had a different sounding game and we didn't want that. We re-did the foley and we took the original soundtrack, which we didn't re-record, but we did remaster it in 7.1. There are a lot of things you will hear that are true to the original. Since you didn't re-record on the dialogue, the story must be exactly the same? Correct. The one thing we did do was take that PC content, the two hours of campaign, the journey to that station to catch the train that was actually cut for the release of the first game, and then were able to take that content and put it back in chronologically correct. 343 Industries remade Halo: Combat Evolved before diving into Halo 4. Is this a Microsoft requirement for working on its core franchises? Or just a good exercise to avoid diving in blind? It had multiple advantages. One of things we looked at – part of being The Coalition as a diverse set of developers – one of the things was getting people soaked into what it is to make a Gears of War game. Remaking Gears of War meant we had to go in and reverse engineer and pick it apart and look at the scripting, understand the levels, the flow, what is cover spacing, what are the combat distances – it was sort of a boot camp for the team to get ready for Gears 4, and it was like, "Okay, I really understand what it's like to make a Gears game." And on the other side, we looked at it from a consumer and player side and we said, “Hey, we’re going to do Gears 4 and it is going to take multiple years. How do we get a Gears game on Xbox One faster?” And we said, “Okay, let’s remaster one – what’s the most impactful one?” And we felt like, go back to the original. It sort of serves as a bridge because there is somebody who, when we shipped in 2006 was seven years old who can now play it at 17, so there is a whole new audience and then there is the nostalgia audience as well. It’s kind of a gateway into it. It’s a ramp, you’ll see. It’s Ultimate Edition this year and then Gears 4 next year. Who is in Fire Team Osiris?